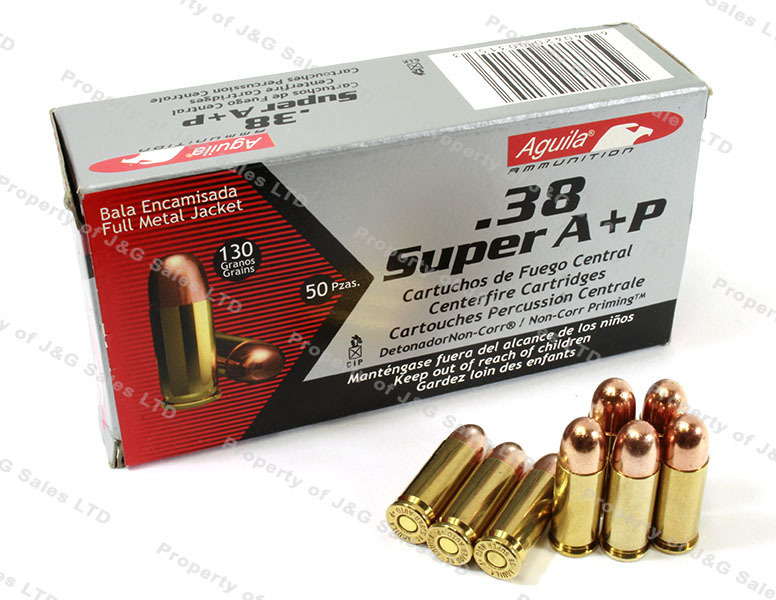 38 Super +P Aguila 130gr FMJ Ammo, 50rd box. It is factory ammo. I have used it before and it always shot well. The price was very reasonable and the delivery was prompt. If you had had more I would have bought more. My 5 star rating is for J&G. I thought I had ordered 38 Special +P. When the package arrived on time, I opened it and realized I made a mistake. I called J&G and spoke with the return manager. He helped me get the package back to J&G and helped me correct MY mistake and led me through the process. A perfect gentleman and won J&G a full time client. So far every round has fired in my 38Super gun. Is a fair price, I am hoping however, the price does go down. Glad you had some in stock for my new gun. I have shot 12 boxes with only 1 nofire. I went to order some more and found you are out. I hope you get some more in soon. Great ammo at a fair price.